Perhaps against my better judgement, I was inspired by the following Twitter thread to consider academic fashion and my own relationship to it. 1) This is a thread I’ve been meaning to write for a while on fashion for academics. This is *NOT* a ‘how you should dress for an interview’ thread, but some thoughts on day-to-day academic sartorial issues. I start with the issues, then move to solutions I favor. Now, Aaron and I have known one another since grad school (he was a year or two behind me in the same program, if in a different field), so I’m aware that he didn’t intend to be prescriptivist in his thread, and that his goal was to elucidate his own experience as a white cis male who looks younger than he is. Nor am I trying to be prescriptivist here, so much as talk about my own experience with style, fashion, la mode, what have you. Which is to say that anyone who wants to comment about their own experience and offer suggestions based on that is encouraged to do so. I know that women’s fashion (and fashion in general) is especially challenging for plus-size people and people with disabilities, so any suggestions on that front would be especially welcome. I’m coming at this as a cis woman who spent most of her life thinner than average, so my experience is very much my own and may not translate to others. I am contingent faculty when I’m teaching. At this exact moment, I am on self-imposed “maternity leave,” which is a fancy term for being unemployed with a baby since I live in the United States and we don’t believe in parental leave (eyeroll). I’m still publishing, but nobody is paying me (luckily, I have a spouse with a Real Job™). I’m still on the job market, technically, but, well, that is its own can of worms. I won’t say that I’m a fashion aficionado. I’m not. I like what I like, and what I like is inevitably at least 3 years out of date. * If not possibly 50 or 100 years out of date, depending on what it is. What I am is someone with a pretty well-defined sense of personal style, honed over about two decades. If I had to describe it, I’d call it about 30% Audrey Hepburn, 20% Goth, 20% Victorian dandy, and 30% Too tired to do anything right now because I have two small children. First thing, women’s fashion is a pain in the rear. It just is. Sizes aren’t standardized between labels, there’s no rhyme or reason to how things are measured, and some styles are just deeply confusing (I, for one, do not understand cold shoulder tops. Not even a little. What is the point? Also tulip skirts. Literally nobody looks good in them. Why can’t they just go away?). When I buy clothing for my husband, everything more or less makes sense. There are actual measurements involved. This is partly why I started buying men’s jeans for myself (also pockets). There’s something so reassuring about knowing that waist measurement is consistent no matter which brand I’m buying. It’s also very hard to buy clothing ethically. I do my best, but between budget constraints, size constraints, and style preferences, it is challenging to say the least. I do think that buying clothing secondhand helps from a sustainability perspective, and I try to pay attention to the brands that I buy frequently and to be aware of trends they’ve exhibited as pertain to both labor and environmental issues. For instance, I stopped shopping at H&M for several years because it came out that their labor practices were deeply questionable and they ran an ad campaign that was, to put it bluntly, racist. However, since then, they’ve started offering textile recycling at their stores, so I’m at least willing to see what they have to offer while dropping off my worn-out stuff for recycling. Which is all to say that if buying ethically is important to you, go for it, and there are a number of brands who make their manufacturing and environmental policies abundantly clear, but if you’re dealing with a limited budget, be fair to yourself and do your best within your parameters. But that’s enough complaints. Let’s talk about academic fashion. I think I’ve owned one suit that I was happy with–a J. Crew Super 120s wool suit in navy with white pinstripes. I bought the skirt new on clearance and got the matching jacket and trousers used on eBay. I even own a blouse that works for it–a cream silk shell from White House Black Market that I also got on clearance for $10. This entire ensemble (which I’m wearing in my “official” headshot from 2017) took about three years to put together, but I’m also pleased to say that it doubles as excellent stealth Peggy Carter cosplay. One of the things that helped me get past this mental block was a conversation with my friend and colleague EJ Nielsen, who remarked that conference attire was itself a form of cosplay. I’m an introvert by nature and it wouldn’t be inaccurate to say that the self I present at conferences or while teaching is a character of sorts–a version of myself who is more confident, more outgoing, and more authoritative. With that in mind, thinking of conference (or interview or teaching) fashion as cosplay made it far easier to develop a distinct style that worked for me. When I returned to the US after finishing my PhD in 2010, I taught part-time at three universities in the greater Washington DC area: Georgetown University, George Washington University, and the University of Maryland at College Park. I upped my fashion game so I didn’t look shabbier than my students, some of whom had more pocket money than I made in a year. So I stocked up on dresses and jackets from a variety of clearance racks and invested in a pair of lace-up knee-high boots that I still own (these are the updated version with a more rugged sole). 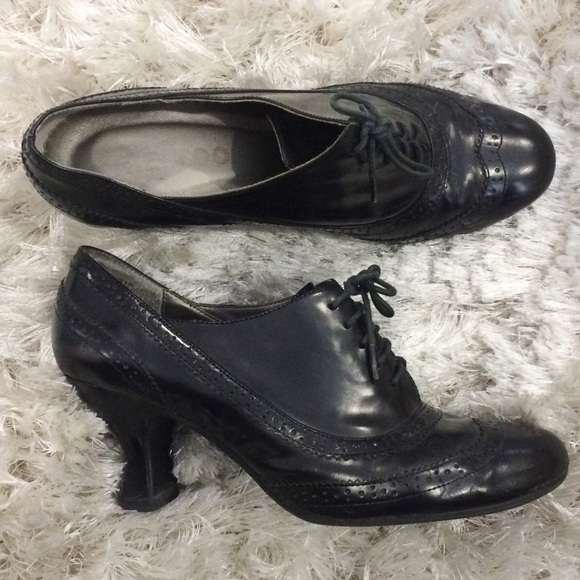 I still get compliments on them, and they happen to be very comfortable and great for teaching. I also wore full makeup on teaching days (although I admit this got a bit spotty toward the end of the semester, especially in spring 2012 when I was teaching 4 classes across 2 universities that were on opposite sides of the city). For me, the important thing for teaching is to be able to move in whatever I’m wearing. I tend to pace a lot and to wave my hands around, so I figured out that, with few exceptions,** pencil skirts and tight sheath dresses weren’t going to work for me. Thankfully, trends shifted from sheath to A-line and even full-skirted dresses, which made things easier for me. If I’m dressing for conferences, I’m dressing to be noticed. As I mentioned in the Twitter thread, I realized relatively early on that, as a woman of colour straddling two predominantly white fields (medieval and early modern studies), I was going to stick out no matter what I did. So I decided to embrace it and indulge my more esoteric tastes. These include things like blood-red lipstick, metallic eye makeup, funky jewellery, Statement Shoes, and hats. I love hats. I refuse to let dudebros ruin trilbys (I’ve owned a red one since 2010, c.f. 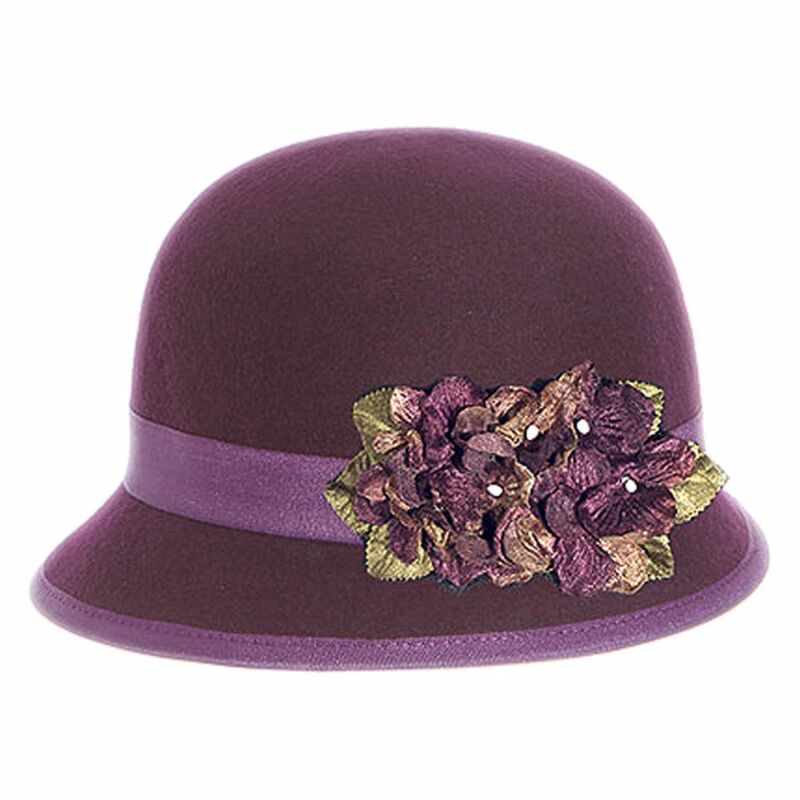 above about Peggy Carter cosplay), and I have a burgundy cloche (similar to this one) that is my go-to conference hat. Before an invited lecture at University of Nebraska-Lincoln in September 2016. Dress: eShakti; Earrings: 1928; Lipstick: Bite High Pigment Pencil in Scarlet under Besamé lipstick in Red Velvet; Eyes: Sephora Collection. After a lecture at Wellesley College in April 2017 (cropped out the student I was talking to for privacy). Dress: Banana Republic; Belt: Calvin Klein (secondhand); Jacket: Maeva, from Daffy’s; Earrings: Etsy; Shoes: Fluevog (secondhand). If I had to give people advice (and I try to avoid that when possible), it would be to focus on intentionality. Whatever you choose to wear is great, so long as you commit to it. It can be something you bought for $5 off the clearance rack (I’ve done that) or a designer item that you splurged on (done that too), but what ultimately matters is that you’re comfortable in it and that you like it. Also that it fits. A good tailor is worth their weight in gold, and I’ve purposely bought things a size larger and had them tailored to fit me. The other big piece of advice is to take advantage of secondhand/consignment markets. It’s easier than ever now with various online options–eBay, Poshmark, ThredUp, even social media groups. Or check out Goodwill, Salvation Army, or whatever other local options you have. Now is an especially good time to try, given the current KonMari craze and people ditching stuff that doesn’t spark joy*** in them. TJMaxx/Marshalls: I used to make fun of my mother for shopping here when I was young and stupid. I am no longer young and stupid and both of these stores are amazing. Not just for clothing, but also for shoes, accessories, skincare, and makeup. I found several skincare and makeup items that retailed for twice the price at Sephora (and don’t get me wrong; I love Sephora, but they are not cheap). Nordstrom Rack: I can count on the fingers of one hand the number of times I’ve shopped at an actual Nordstrom (if you’ve never been fitted for a bra, I highly recommend them; their employees absolutely know what they’re doing), but I go to Nordstrom Rack several times a year and I use their website as well. They are great for all kinds of items, and they have epic sales at Black Friday, end-of-year and the middle of summer. I buy winter boots there in summer, for myself and for my daughters. 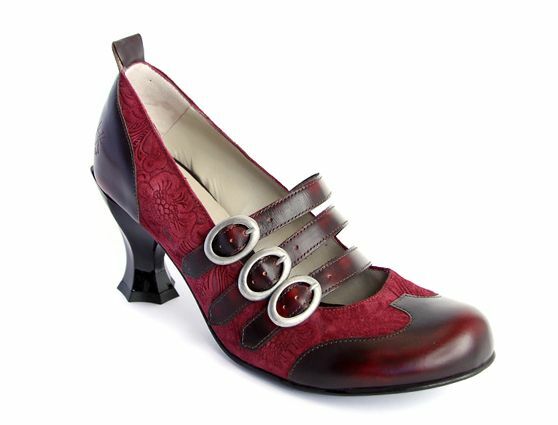 eShakti: One of my pipe dreams for a long time has been custom clothing made specifically for me. I still hope to manage a suit someday (and have several Etsy sellers bookmarked for this purpose), but in the meantime, eShakti gets me most of the way there for dresses. Their designs are fun, they carry plus sizes, they are always having sales, and pretty much all of their dresses come standard with pockets. The only caveat I’d issue is that if you’re getting a long-sleeved dress, give them measurements of your arms to make sure the sleeves are wide enough.